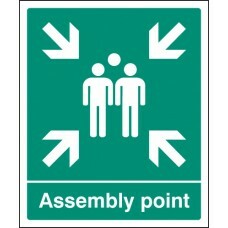 It must not be assumed that everyone will know all safe routes through the building. 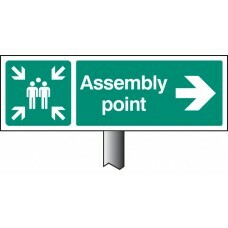 Similarly, it must not be assumed that, once outside the building via a final exit, people will know how to get to the assembly area, so signs directing to the assembly area may also be required. 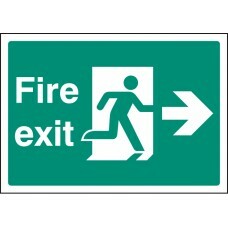 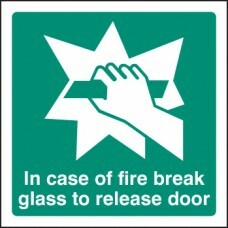 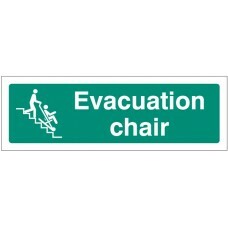 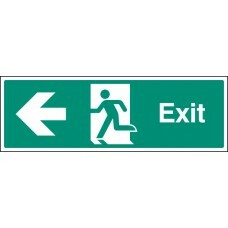 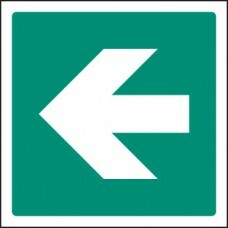 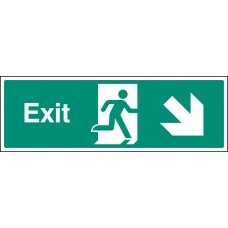 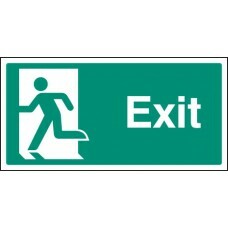 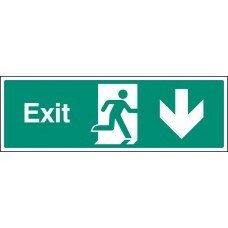 Emergency escape signs should comply by BS EN ISO 7010:2012 to ensure maximum levels of understanding. 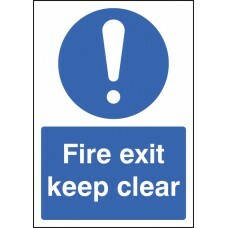 The old EC Directive (92/58/EEC) designs should no longer be used due to their low comprehension credentials. 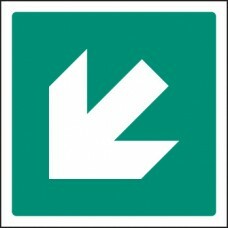 In addition to the requirements for installing exit signs at 1.7m-2.2m from the ground, this standard recommends that additional intermediate and low location marking may also be required. 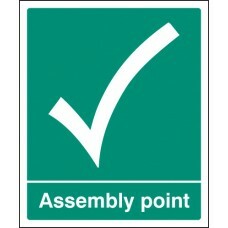 Position at a maximum height of 400mm from the floor for low level marking. 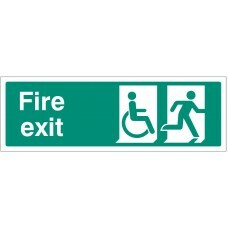 This braille refuge sign helps ensure people with visual impairment can locate important areas in the event of an emergency. 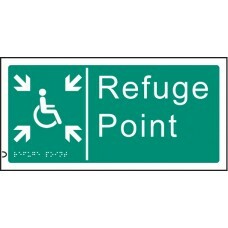 The raised letters, symbol and braille ensures our refuge braille/tactile s.. 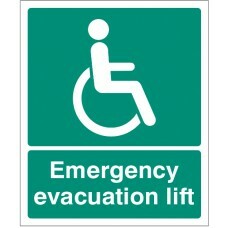 Designed to assist the safe evacuation of the physically disabled in the event of an emergency. 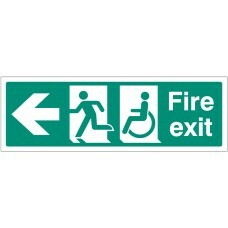 These signs meet the requirements of BS5588 Part 8 - The code of practice for means of escape for disabl.. 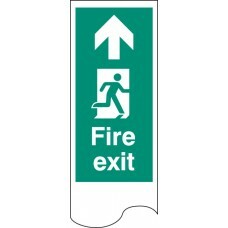 This hardwearing white faced aluminum fire exit door plate with self-adhesive backing should be installed to reinforce a fire exit message. 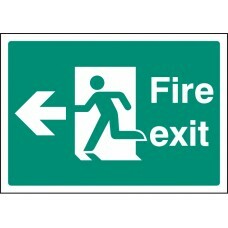 They should not be installed instead of an exit/fire exit si.. This hardwearing white faced aluminum pull to open door plate with self-adhesive backing should be installed to help advise of fire exit messages. 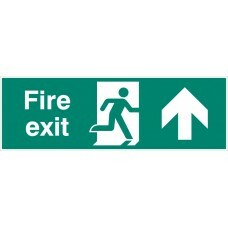 They should not be installed instead of an exit/fire .. 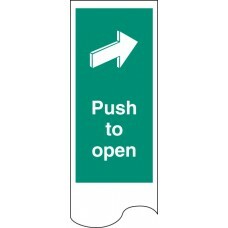 This hardwearing white faced aluminum push to open door plate with self-adhesive backing should be installed to help advise of fire exit messages. 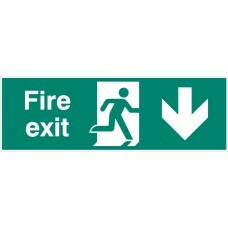 They should not be installed instead of an exit/fire .. 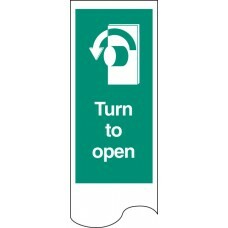 This hardwearing white faced aluminum turn left to open door plate with self-adhesive backing should be installed to help advise of fire exit messages. 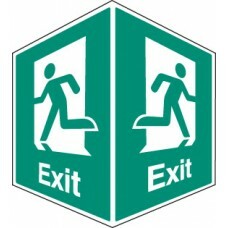 They should not be installed instead of an exit/.. 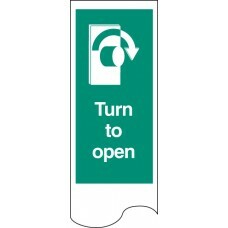 This hardwearing white faced aluminum turn right to open door plate with self-adhesive backing should be installed to help advise of fire exit messages. 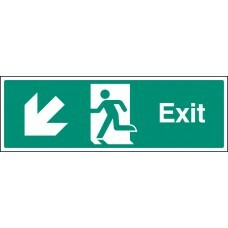 They should not be installed instead of an exit.. 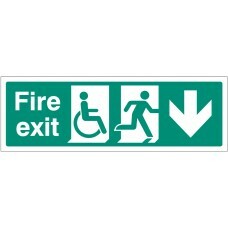 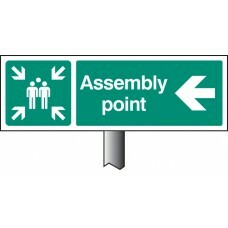 Emergency escape signs are provided to guide people from wherever they are in a building, via a place of relative safety (the escape route) to the place of ultimate safety (the assembly point). 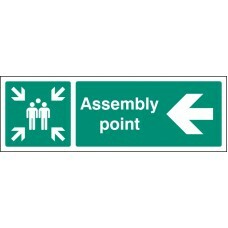 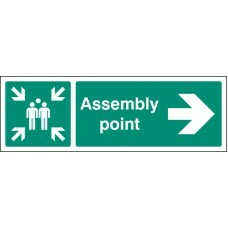 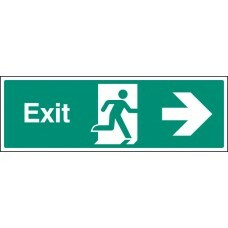 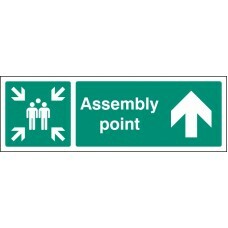 Large ..
Self-adhesive overlayTear-off symbols and text required to place over emergency lighting unit. 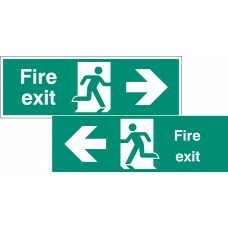 Material Options Explained Below is a more detailed description of the materials this particular safety ..
Use EasiFIX projecting signs to identify the location of fire equipment from several view points Face: 15x 2mm Ready to install with drilling guide Concealed fixings..